better than i could have imagined: Our Lucky Charms! So cute!!! 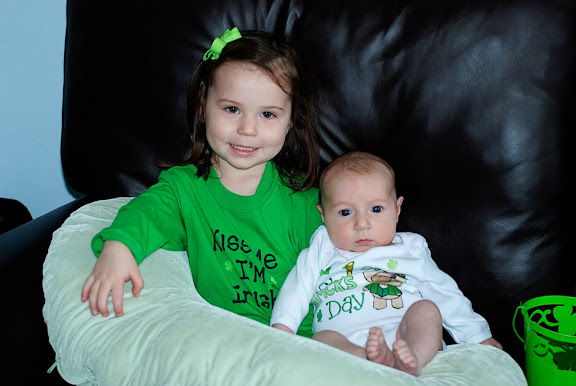 Parker's 1st St. Patty's Day looks like Grace!! !